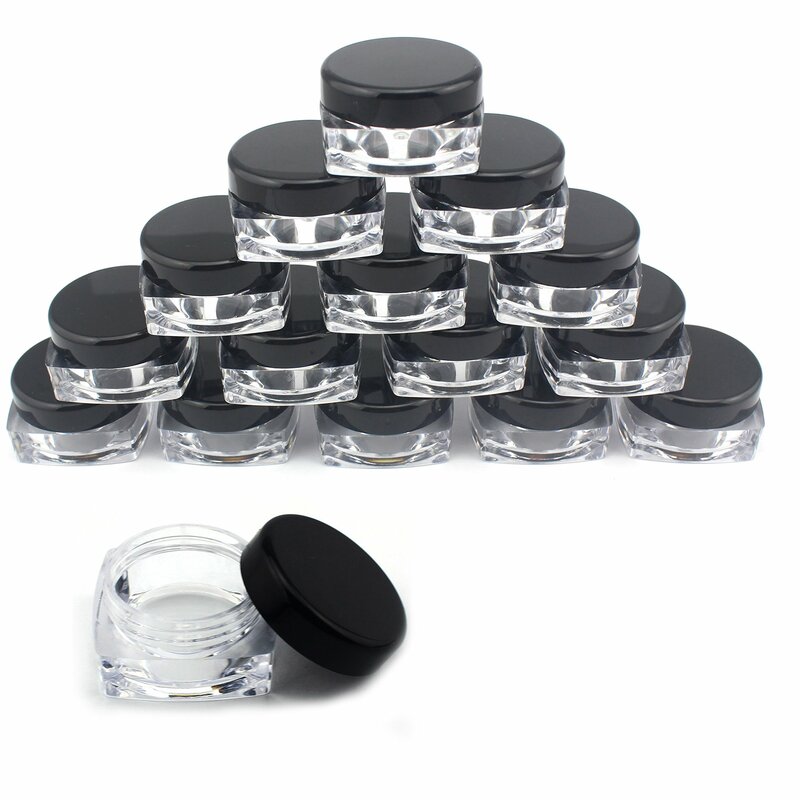 Home › Mavogel 50Pcs Clear Acrylic Cosmetic Sample Containers - 5 Gram Size Pot Jars..
Mavogel 50Pcs Clear Acrylic Cosmetic Sample Containers - 5 Gram Size Pot Jars..
50- 5 gram clear acrylic jars cosmetic jar containers pots. Easily screws together for compact storage of acrylic powder, liquids, nail designs and much more. Jars for sampling of eyeshadows creams, lip balm lotions and cosmetics. These empty cosmetic jars can be used to mix your own colors or create you own color sets. Material: Acrylic Diameter: 30 mm/1.2 inch Height: 15mm/0.6 inch. Perfect for sampling mineralized eyeshadows, storing mineralized makeup, and easy to travel with.